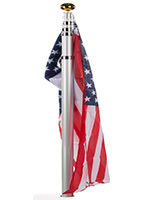 This 20-foot portable flagpole set features a height-adjustable telescoping design and comes with both a ground pipe base and a moveable tire foot mount. 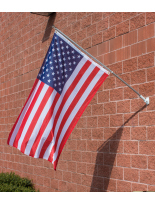 This versatile outdoor kit comes with a 3’ x 5’ American flag as well as an extra set of hooks for dual banner mounting. 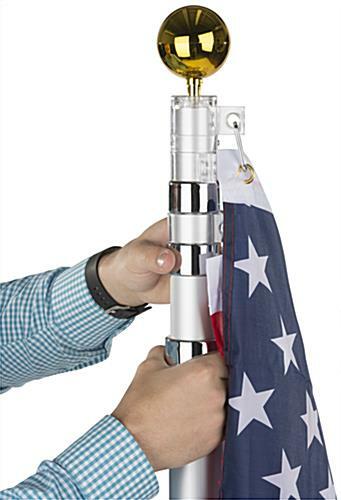 This adjustable telescoping flagpole set features a gold finish truck ball topper for a stylish look. 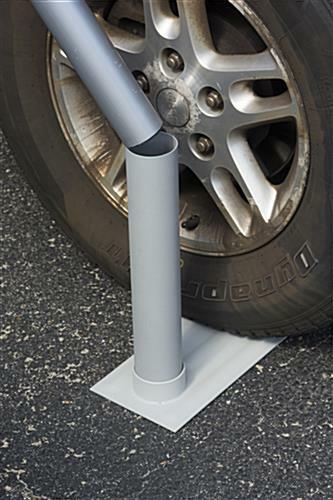 Each portable kit is ideal for display at outdoor promotional events and can be mounted using the included car foot or the PVC ground post. 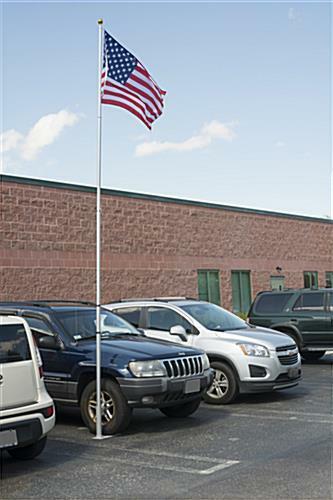 This 20-foot portable flagpole set comes complete with ball finial topper, dual flag hanger hooks and included 3’ x 5’ American flag. 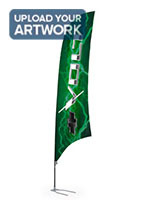 This high visibility telescoping banner display is an economical way to showcase custom and patriotic flags at outdoor promotional events and booths. 16.0" x 63.5" x 6.0"
16.0" x 18.0" x 6.0"